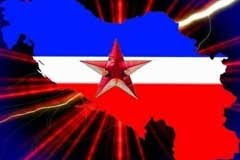 A two-day meeting of the representatives of ex-Yugoslavia’s successor states will kick off today in Belgrade. This meeting of successors, aimed at the discussing the issues relating the SFRY’s inheritance, comes two years after the last meeting held in 2007 in Slovenia. According to the announcements, the representatives of ex-Yugoslavia successor countries will discuss the agreement on inheritance and all its annexes, including those referring to military property, cultural heritage, allotment of the diplomatic and consular offices, division of uncontested obligations toward the United Nations as well as the issue of mixed banks and state archives. Like meeting for the reading of the testament of someone who died..
And if I think about it..it's a little bit like that..